A recent study in the US showed that collecting patient-reported outcome measures (PROMs) – clinical surveys that track how much a condition is affecting a patient’s life – throughout chemotherapy could improve survival as well as quality of life for people with advanced cancer. In fact, the benefit was an average of five months of extra life (Basch E et al 2017), which is a better result than that seen with the majority of recently licensed chemotherapy drugs (ASCO 2017) . The reasons for this aren’t magic. 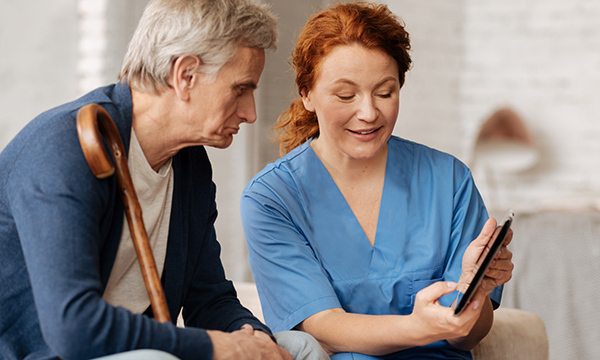 It’s simply that specialist nurses could use information collected from patients at home to take action to proactively improve their care. Therefore, a patient reporting pain or nausea could be assessed remotely between hospital visits and treated to help them feel better, and signs of illness could be spotted early so unplanned hospital admissions could be avoided. These seemingly small interventions added up to make sure more patients received more of their chemotherapy and meant that more lived significantly longer as a result, the study found. As you would expect, PROMs – and the documented positive results they yield – have caused quite a stir in cancer services here in the UK, too. Our system, My Clinical Outcomes (MCO), is a website for collecting and analysing PROMs that we originally developed for hip and knee replacement patients in 2011. It has evolved over the years and today is used in more than 60 hospitals in various medical and surgical conditions. Following on from the US research, MCO won Cancer Innovation Challenge’ funding from NHS Scotland to develop the system for cancer patients in Scotland. The project has had a high profile with everyone up to the chief medical officer in Scotland getting behind it. The system is now in use at NHS Ayrshire and Arran for patients with blood cancers, and breast cancer patients and others set to be added soon. The Beatson West of Scotland Cancer Centre plan to start in the coming weeks and we hope more centres will come online thereafter. The system has been well received so far by patients who tell us they feel more closely looked after in between appointments. Patients and healthcare professionals find it saves time by shortening or even replacing reviews previously done face-to-face or over the telephone. Healthcare professionals are finding that the data is more comprehensive than they used to get and that it allows the right clinical decisions to be made at the appropriate time. Comparisons can be more easily made between patients to make sure everyone is looked after as well as possible. MCO is also being piloted for pelvic radiotherapy patients in collaboration with Macmillan Cancer Support and the Royal College of Radiologists at three cancer centres in England and Wales, with patients who report symptoms of late-toxicity being directed back in to the cancer service. We agree. The evidence is there and it’s time we embraced the potential of simple and cost-effective digital tools to help improve the care of people with cancer everywhere. 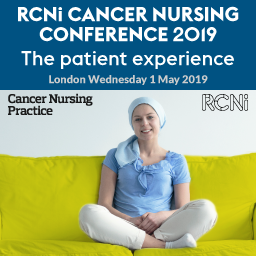 Tim Williams will be presenting on how digital tools could improve cancer care at the upcoming RCNi Cancer Nursing Conference 2019, taking place in London on 1 May. To find out more about this event visit cancer.rcni.events.